Renters will pay at or before the time of each rental period, and are encouraged to pay in advance as much as possible. Rent checks may be left in the payment box in the studio at the time of each rehearsal or class. For online payments, renters may pay online (PayPal/credit card) via invoice that will be sent via email. Renters MUST pay for all studio space at or before the time it is used. All rent checks must be written to Studio at 550. Private lesson rate (less than 4 students): $25/hr. Class Booking: Teachers of regular weekly classes must confirm their class schedule for a full three months. Class Cancellation: Space may be cancelled via email with two weeks notice. If a cancellation is arranged after rent has been paid, the balance will be applied towards future rentals of Studio at 550 (no refunds). With less than 2 weeks notice, class renters may cancel but will pay full rental rate for the cancelled studio time. Teachers are encouraged to find substitute teachers and keep the class operating consistently. Rehearsal Cancellation: Space may be cancelled or exchanged via the online booking system with 48 hours notice. If a cancellation is arranged after rent has been paid, the balance will be applied towards future rentals of Studio at 550 (no refunds). With less than two days notice, rehearsal renters may cancel but will pay full rental rate for the cancelled studio time. Performance Bookings: Events may be booked in advance via the website and will be approved upon completion and acceptance of the contract by both parties. Performance/Event reservations include the use of the studio stereo equipment, folding chairs, black curtains, and two 4ft folding tables. Rent payment is expected on the evening the event is scheduled (or before). A full strike of the space, including all chairs, is expected after each evening’s rental. 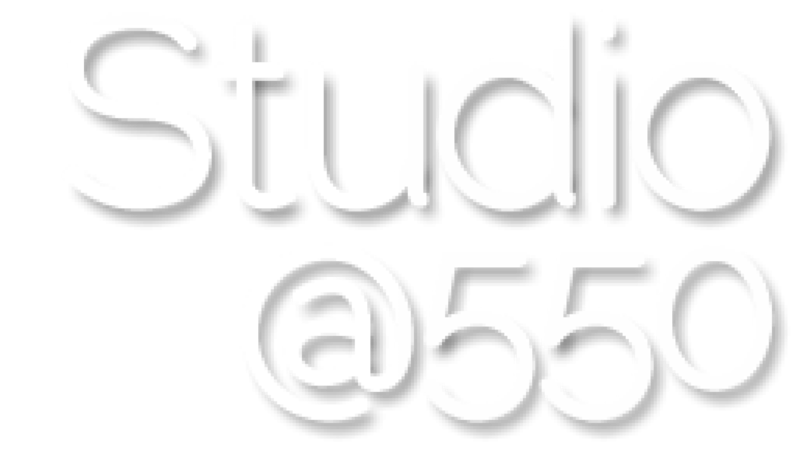 If you would like your event posted on the Studio at 550 website, please send a press release/description via email. Additional equipment such as a audio mixer, projectors, white projection screen is available for an additional charge. Before a performance renting is confirmed a walk through of the space is mandatory and can be scheduled with staff at least one week prior to the first rental date. All operators of rental equipment must be approved before rental equipment is released. Performance Cancellation: Space may be cancelled with 2 months notice. If a cancellation is arranged after rent has been paid, the balance will be applied towards future rentals of Studio at 550 (no refunds). With less than 2 months notice, renters may cancel but will pay full rental rate for the cancelled studio time. Street shoes are absolutely forbidden in the dance studio. All street shoes MUST be removed and left in the entryway. Soft-soled, non-marking, absolutely clean dance shoes are allowed on the dance floor – no tap shoes, no rosin. No smoking anywhere inside the building. No smoking on the roof or within 20 feet of the building. No incense or open flames of any sort. A stereo system will be available for rehearsals, classes, and performances. The stereo system can play CDs and has an auxiliary jack. Props need to be constructed in such a way that they can cause no damage to the dance floor. All props must have felt padding on any part that rests on the floor. Renters may NEVER leave any equipment, costumes, props or personal belongings anywhere in the studio, hallway, bathroom, or back rooms. Renters agree not to inform any person of the code for the studio. The combination will be changed at Studio at 550’s discretion, based on any security situation that may arise. In the event of a change, renters will be informed of the new lock box combo via the confirmation email that is sent after bookings are made online. Each renter assumes responsibility for the security of the space during each rental period. Renters will make sure if they are the last ones out of the building, arrangements are made to lock the building, or arrange to borrow a key for the rental. Renters are responsible for the return of the key within a reasonable period of time. For any urgent issue that might compromise the structure or safety of the studio or the building, please call the Studio at 550 Emergency Contact: Callie – 617-863-2550 . For accidents, health crises, criminal activities, or fire, call 911 first then contact Callie to report the incident. Each renter will assume full responsibility for any damage caused to any part of the entryway, studio, back rooms, bathroom, stereo equipment, floors, windows, mirrors, walls, ceilings, etc. sustained during the renter’s scheduled studio time. Each renter agrees to pay in full for repair or replacement and/or disposal of any item or structure damaged by the renters or by performers, collaborators, or guests invited to Studio at 550 by the renter. Full payment for damage will be made within ONE MONTH of the damage. Each renter assumes liability for injury any persons they invite to the space, including but not limited to: injury to students in the renter’s class, injury to performers or collaborators in rehearsal, injury to guests or audience members at a showing. Each renter assumes responsibility for returning the studio to a good state before they leave. All windows must be fully closed. All lights, heater(s), air conditioner and electrical equipment must be turned off. Trash and litter must be removed. All curtains, drapes, window covering must be returned to their original state before leaving. No tying curtains in knots. Please sweep if necessary, and leave the studio in wonderful condition for the next renter. Renters are responsible for removing their trash from the building. The Studio does not provide trash disposal. Renters will sign this contract before using Studio at 550 space via an online web agreement. A printed version is also available. The signed printed contract can be left in the deposit box on the renter’s first visit. Studio at 550 reserves the right to change the above rental policies at any time to reflect the needs and concerns of the studio, community, and resident companies. Renters will be informed of changes to rental policies.